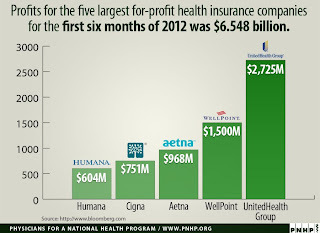 0 Financial Incentives, maybe; corporate profit, no! If we truly wish to move toward a healthcare system which delivers high quality in a reliable manner, one of the great flaws of our current system is that incentives are not always lined up to achieve that goal. Indeed, we could make a strong argument that incentives, particularly financial incentives, often lead healthcare providers (sometimes individuals, but certainly large organizations such as hospitals, nursing home and hospital chains, pharmaceutical companies, device manufacturers) in the wrong direction. 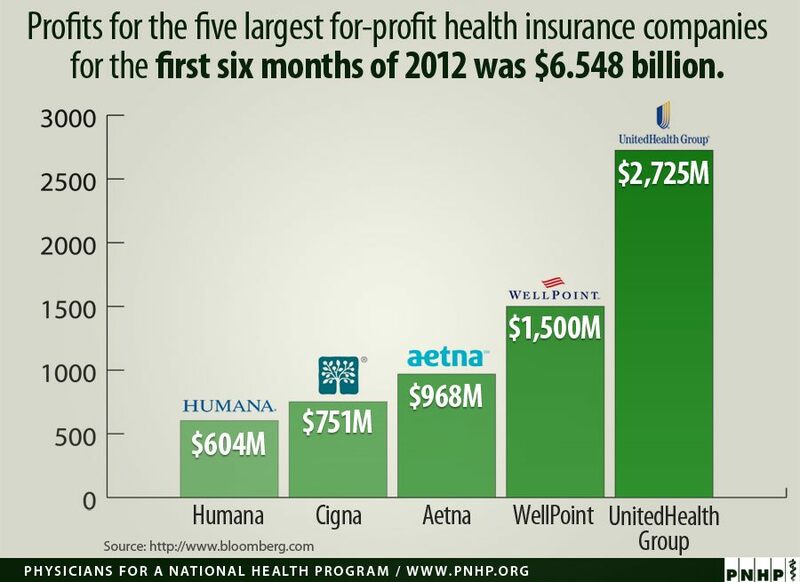 That is, they pursue financial profitability rather than the highest quality of care for our people. Sometimes these two run together, and sometimes they do not. If the disease you have is one that is well-provided for and you have the money or insurance to pay for it, you are in luck. If you don’t have financial access to care, or your disease’s “product line” was not one deemed financially profitable enough for your hospital or health system to invest in, you are not. Similarly, if you have a disease that lots of others share, pharma is always ready to provide a drug for it – particularly if it is still patented; if you have an “orphan” disease, you may not be able to get treatment, or it can cost (truly) more than $100,000 a year. This is the question that a group of Australian scholars led by Paul Glasziou sought to answer in an “Analysis” published in the British Medical Journal (subscription required), “When financial incentives do more good than harm: a checklist.” Glasziou and his colleagues review the data on the effectiveness of financial incentives in both health care and other industries, and focus upon a meta-analysis by Jenkins et al., and two Cochrane studies, one an analysis of 4 systematic reviews (? a meta-meta analysis?) by Flodgren et al., and one looking at primary care by Scott, et al. Basically, the results were mixed; sometimes they worked (to achieve the desired ends) and sometimes they didn’t. Glasziou observes: “While incentives for individuals have been extensively examined, group rewards are less well understood….Finally, and most crucially, most studies gathered few data on potential unintended consequences, such as attention shift, gaming, and loss of motivation.” (Again, see Daniel Pink, “Drive”, on Motivation). 1. Does the desired clinical action improve patient outcomes? 2. Will undesirable clinical behavior persist without intervention? 3. Are there valid, reliable, and practical measures of the desired clinical behavior? 4. Have the barriers and enablers to improving clinical behavior been assessed? 6. Will benefits clearly outweigh any unintended harmful effects, and at an acceptable cost? 7. Are systems and structures needed for the change in place? 8. How much should be paid, to whom, and for how long? 9. How will the financial incentives be delivered? They provide explanations of each of these and include a useful table that uses real life positive and negative examples to illustrate their points. For example, regarding #1 they note that the UK has provided financial incentives to get the glycated hemoglobin level in people with type 2 diabetes below 7%, despite several studies showing no patient benefit. (This is an example of “expert opinion” governing practice ever after contradicted by good research.) #2 means some behaviors occur or extinguish if effective processes are put in place without financial incentives. #3 is important because of the cost of implementation (“We found no studies on the cost of collecting clinical indicators.”); one of the great complaints of providers is that they spend so much time providing information to various oversight bodies that they haven’t sufficient time to provide good patient care. Reduction in equity. This is extremely important. I have written extensively about health disparities; this point is meant to drive home the reality that this inequities, or disparities, can persist even when there is an overall improvement in the areas being measured. These authors are from Australia, which like most developed countries, has a national health insurance system. (See the map). The data they cite is world-wide, but largely from their country, the UK (which also has a national health system) and the US (which does not). The real problems of health disparities and inequity are enormous in our country. They are not modified by the presence of a national health system, which reduces many of the financial barriers to health care; indeed they are exacerbated by a make-money, business-success psychology of providers that may be worse in the for-profit sector but essentially drives the non-profit sector as well. The application of a simplistic corporate psychology to health care delivery can lead to poorer quality and greater inequity in any country. In combination with an entire system built on making money, gaming the system, and excluding the poor, and making corporate profit (see graph) it is a disaster. Our disaster. Jenkins GD, Mitra A, Gupta N, Shaw JD. Are financial incentives related to performance? A meta-analytic review of empirical research. J Appl Psychol 1998;83:777-87. Flodgren G, Eccles MP, Shepperd S, Scott A, Parmelli E, Beyer FR. An overview of reviews evaluating the effectiveness of financial incentives in changing healthcare professional behaviours and patient outcomes. Cochrane Database Syst Rev 2011;7:CD009255. Scott A, Sivey P, Ait Ouakrim D, Willenberg L, Naccarella L, Furler J, et al. The effect of financial incentives on the quality of health care provided by primary care physicians. Cochrane Database Syst Rev 2011;9:CD008451. Interestingly, this map, from the Atlantic, may make us think that the aloneness of the US in not having national health care is less serious than it is. Most adults are used to seeing map projections that inflate the size of Europe and North America. 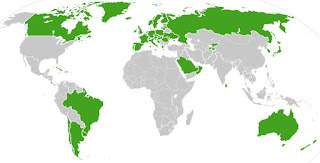 This is a geographically more accurate map, but if it were in our “accustomed” projections would be even more green.